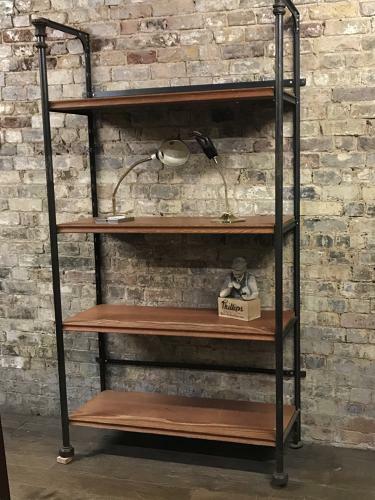 This is a very nice industrial looking shelving unit, the shelves are wood and the frame is metal. All the shelves are adjustable and we have a few extra shelves. We have a few of these units left and two shorter versions. These can be used as shop display or perfect for a home book shelf.